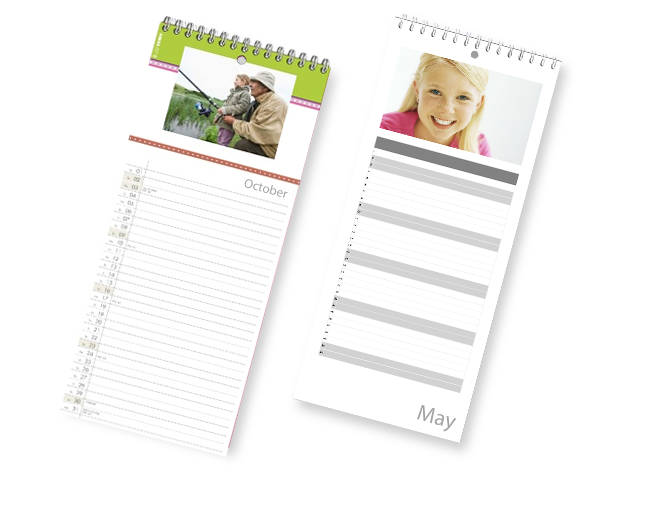 Don’t miss any dates – the kitchen and birthday calendar with your favourite pictures. 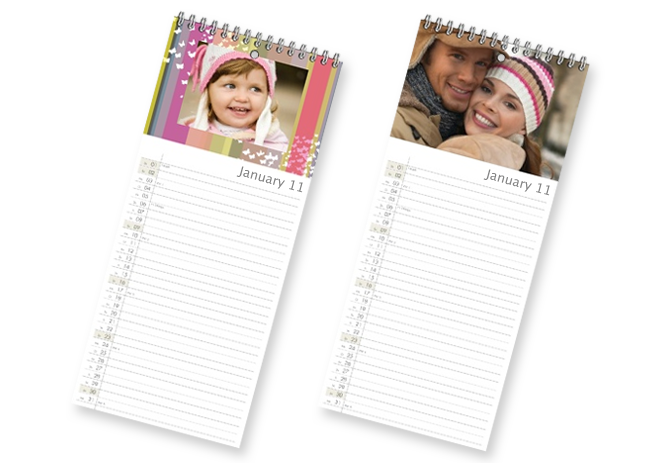 With lots of room for notes, this 13×29.7 cm (5"×11½") calendar will remind you of all the important birthdays and anniversaries. 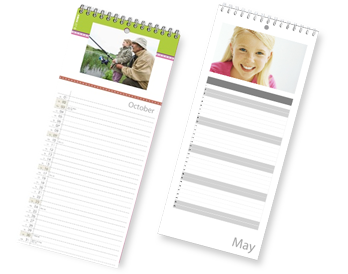 Simply choose from the many template options and make your kitchen photo calendar unique. 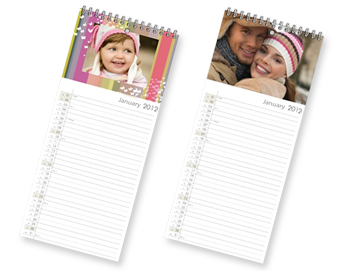 You can chose the starting month freely, making the kitchen calendar the ideal personal gift, not just for Christmas.